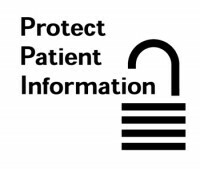 The Health Insurance Portability and Accountability Act of 1996 (HIPAA) Security Rules apply to protected patient health information in electronic formats. This information must be protected with appropriate security measures to guard against unauthorized access to the information during transmission over an electronic communication network. When evaluating software for HIPAA compliance, you need to examine how the product handles security issues such as passwords, transmission, encryption, etc. Our online backup service uses CrashPlan PROe, a fully HIPAA compliant software solution. CrashPlan PROe encrypts your files before transport (essential for HIPAA compliance) with zero dependency on destination or Internet security. CrashPlan PROe uses the 448-bit Blowfish encryption algorithm, much stronger than the 128-bit encryption commonly used for online banking and by most businesses. Simply stated, for someone to access your backup archive, both your password and encryption key are required for decryption. Data is backed up symmetrically at the source. With the Private Data Password option, your files cannot be decrypted at the destination without your unique data password. With Private Data Password enabled, only someone who supplies the correct private data password will be able to restore your files. We do not have access to your private password and, therefore, never have access to your files. As a result, because your private data password is never transmitted anywhere, w e would not be able to retrieve or restore this password if you lose it. We do however work very closely with you during the initial installation to ensure your password is stored in a safe place. Click here to see the CrashPlan PRO Compliance Statement. For further information and for any questions you may have, please contact us. We will be happy to further explain how South Jersey CrashPlan can benefit your practice with safe and reliable online, offsite and local backups for a low monthly fee.